We are honoring the late Kate Dopirak and her wonderful talents with this interview of Kate’s husband Josh by Debbie Vidovich. Debbie: Twinkle Twinkle Little Car is a bit of change for Kate, in that her previous books spoke to a slightly younger/Mommy and me type audience. This is for a slightly older, more independent child. What inspired her to write this story? Did it come to her quickly, in one sitting or over time? Did it require a lot of revision or did book 3 come easier? Debbie: Kate was an amazing Mom, to the boys and her pup. How did that influence her writing? Josh: Kate was a mom first and she loved every minute of it. She was always on alert for good ideas and the stories just happened as a result of that love. Naturally, being a mom, a wife, a writer AND trying to do all of those things well presents challenges. Hurdling all of those obstacles made the little things in life a bit sweeter. These small victories are well represented in her works. Debbie: Kate really connected to the 3-5 age group. Tell our members about Kate’s professional background and how that influenced her writing. Josh: Kate loved children and spent much of her time working alongside them throughout her life. Starting out as the “in demand” neighborhood babysitter, she graduated to a summer camp counselor position in her teens and moved on to an elementary school teacher after graduating from Allegheny College. She had such a natural way of connecting with young kids through her smile and energy. Slowing down and being truly present with them enabled her to tap into their world. Debbie: What would Kate like us to know about her writing journey. Was there a particular piece of advice she’d give while presenting workshops etc.? Josh: Journey implies great difficulty and there was. But she was going to create rain or shine. Success wasn’t defined as getting published or creating a hit. It was creating, perfecting and enjoying the experience. She did get sidetracked with various genres but ultimately refocused all of her time writing for young children. Other genres may sell better but she focused on what she loved and would advise the same. More importantly, she put herself out there joining the SCBWI, critique groups and attending conferences. This is where she got her first break – meeting who would ultimately become her agent. The approach was simple – write as much as possible and market in every possible way. Lastly, she may not have always been writing but she was always working. She had an uncanny ability to eavesdrop on a conversation while having a conversation herself. I called her the ultimate multi-tasker. Also, if she was stuck on something she would simply assign her brain the task of solving the problem while she slept. Presto, it worked. I always teased her about it – who knew problems could be solved in your sleep? Overall, she’d tell anyone that this passion for the craft will help through the tough times. Debbie: Twinkle Twinkle Little Car is my favorite of Kate’s books. Are there unfinished or yet to be published books we can look forward to in the near future? Josh: Hurry Up! is set for publication in the summer of 2020. The theme is relatable…we’re on the treadmill of life and sometimes we need to dial it back, be present and appreciate the beauty around us. Illustrator Christopher Silas Neal is an accomplished, award winning talent. We’re excited to see how he tells the story. Debbie: Did Kate share any stories or advice about dealing with the dreaded rejection letter? I remember she told me her first book got tons of rejections before it got picked up. Josh: Rejection never deeply bothered her. It did, however, serve as inspiration to become better. She actually kept a collection of rejection letters in a big binder. A glutton for punishment, I suppose…this thing is the size of an encyclopedia. Debbie: Tell us about Kate’s and your reaction to getting her first book deal! Josh: It all happened so quickly. She signed with her agent and within a month or so a deal was done for You’re My Boo. She had been writing for 7 years and had several published short stories and essays at that point. She always felt like she was inching closer so it was great to get that validation. However, the second one didn’t happen so quickly. Another 4 years passed before she landed a deal for Snuggle Bunny. This was tough for her because she figured things would get a lot easier once she sold Boo. Debbie: Kate’s brother is a lawyer, did he do the contracts on Kate’s books or did you recommend a book contract specific lawyer? And where does one find those? Josh: Kate was thankful to have a lawyer in the family. As a courtesy, her brother Joe combed through the document. There weren’t any red flags so she quickly moved on. Kate was always anxious to get that business stuff out of the way and just get back to writing! Josh: After reading all of her drafts, it appears rhyme was the only option on this one. She was following the pattern of Twinkle Twinkle Little Star and she had the most fun writing in rhyme. Debbie: Kate developed and passed away from a neurological disease called Creutzfeldt Jakob, is there anything about this disease you want our audience to understand? Josh: It’s a rapidly progressive, terminal disease with no treatments or clinical trials. It’s so rare that big research dollars are not committed to curing the disease. As a matter of fact, most grant money is raised through families impacted by the disease. Here a dollar goes a long way, giving families hope for progress and a chance at survival. Debbie: Kate’s funeral was beautifully up lifting. You and your family were exceptionally gracious to all of us in attendance. I would love to share the rewrite of Twinkle Twinkle that her siblings read in eulogy, if you care to share it. It was equally touching and so very true. Who wrote it? Josh: The Twinkle poem was a collaboration between Kate’s two siblings. Inspired by her words and body of work, Joe and Molly worked together to craft a worthy tribute. They were hopeful Kate the author would have been proud of their endless revisions. Thank You, Thank You, Beautiful Kate (Katie)! Debbie: I am very grateful for the time I spent with Kate, to meet her was to call her friend. Her generosity, kindness and joyful spirit will forever live on in her books. Is there anything you’d like to say, that we haven’t touched on here today? Josh: She leaves behind this great legacy for her boys, families and friends. During a summer getaway a few years ago she mentioned that, despite the inevitable someday, she felt comfort that her works could live on forever. Her writing will be a perfect gift for our family’s next generation and hopefully many others for years to come. Please include Kate’s favorite illustrations from the book and why she like them. Josh: Kate lived the simplicity of the cover and how the car pops. She also loved the convertible illustration and thought it was the perfect way to drive around through the story. Congratulations on being chosen for Angie Karcher’s Top Ten Rhyming Picture Books for 2018! I’m very honored to have this chance to interview you. Linda: Your book DIVA DELORES AND THE OPERA HOUSE MOUSE is adorable and your rhyme delightful. What was the inspiration for this book? Was there any special reason why you chose an opera house for your setting? Laura: My initial inspiration was crossing paths with a little mouse in the woods. The writer in me immediately started imagining what his life might be like, where he might live etc. 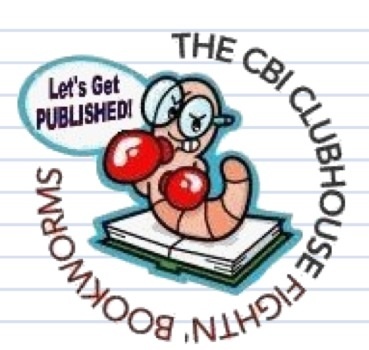 The first result of those observations was a rhyming rebus called “Mouse House” (Highlights for Children, May 2013). Months later, I was paging through my notebook looking for inspiration for Tara Lazar’s Picture Book Idea Month writing challenge (now called STORYSTORM) and I came across that mouse again! Only this time, I imagined where else a mouse might live – and that imagining led me to the opera house, which I thought would be a humorous setting for a mouse full of rich language and illustration possibilities. Linda: You’ve proven you’re gifted when it comes to rhyming books, but when did you first know you wanted to write in rhyme? Did you have a mentor? Critique group? Laura: I’ve been an avid reader and writer since childhood. My mother actually saved most of my earliest childhood writings. Interestingly, many of them are written in rhyme – and not badly – which goes to show that I’ve loved rhyme (which is my favorite mode of storytelling) almost all my life! Becoming good took a lot of writing (and reciting), a lot of reading and a lot of just plain playing with rhythm and rhyme in my journal. The best decision I ever made in terms to truly improving my craft was to join a critique group – and I’ve been in several now over the years – that focus on picture books and rhyme. Linda: Any suggestions for authors who have not published a rhyming book yet – but love to write in rhyme? Laura: The key, in my opinion, is to saturate yourself in the kind of writing you love. Read as many rhyming picture books as you can – with a writerly eye – thinking about what makes them work – or not. Do the same with poems from anthologies and magazines. And then, using those as models of rhythm and rhyme, write, write, write! I also have three great resources that I have found invaluable to improving my craft. They are: The Complete Rhyming Dictionary Revised (Doubleday), edited by Clement Wood and revised by Ronald Bogus, Timothy Steele’s All the Fun’s in How You Say a Thing: An Explanation of Meter and Versification (Ohio University Press) and Roget’s Thesaurus of English Words and Phrases (Longman). Finally, if possible, join a critique group! Linda: After you’ve written and revised your manuscript, how do you know when it’s “ready” to be submitted? Laura: That’s a tricky question. It’s kind of like asking when you know a pie is ready to come out of the oven. Each pie is different just like each poem or story is different. That being said, there are certain hints that indicate to me that a rhyming manuscript is ready to submit. These include: 1) The meter and rhyme are working flawlessly – and are fresh and unexpected. 2) The story arc is satisfying and is not limited by the rhyme 3) At least THREE people beside myself have read it aloud smoothly and with enjoyment. 4) My agent gives it the thumbs up. Linda: Do your own children influence/inspire what you write? Laura: Absolutely! Many, if not most, of my stories and poems got their initial spark from something that my kids said or did, or something that we saw together. One of the joys of being a writer is seeing the world through writerly glasses and I’m quick to jot down any ideas that come to me, as they often do, when I’m with my children. Linda: Debbie Smith, a member of Rhyme Revolution would like to know if you write in rhyme from the start, or do you write the story first and add the rhyme later? Laura: I write in rhyme from the start, but interestingly it’s seldom in the metrical form I ultimately choose for the piece. My mind just likes to think in playful rhymes. I do, however, bullet point the plot line pretty early on, but this is more like telling a story in list form than prose. I also like to capture snippets of rhyming phrases – couplets or quatrains – that have the feel that I’m going for in a particular story. I call this phase my playing around phase and I can sometimes do it for months before settling on the right versification for a particular story. Linda: Is there any special place, or time of day, etc., that helps you develop new ideas for books? How do you keep your creative juices flowing? Laura: I find that getting out and exploring, either on my own, or with my family, is a great generator of new ideas. I can’t tell you how many times I’ve gotten a story or poem spark just by walking in the woods or down a city street and seeing something that sparks my creativity. It can happen anywhere, so I try to always keep pen and paper on hand – in my purse or back pocket. My phone has also become a wonderful repository for ideas. As far as keeping those creative juices flowing, I’m easy. Writing is what fills my well – and I find time to let words spill on paper (or laptop) every day. That alone keeps the flow fresh and moving. I also make a goal to treat myself to at least one conference/writing retreat a year. Linda: What’s next for you in your writing journey? Do you have another rhyming book in the works? Laura: I’m writing, writing, writing! I have several rhyming picture books in the hopper ready to go out on submission, so I guess we’ll all just have to stay tuned on this front. Linda: What would you like your readers to know about yourself? Manju: I’m excited to present Linda Vander Heyden and her Best in Rhyme nominated picture books. Linda: Thanks, Manju! I’m excited and honored to have my books be among those nominated! A Horse Named Jack is about a curious horse who loves children. One day, when the children don’t show up to play, Jack grows bored, Bored, BORED! He clip-clops through the barnyard and raids the neighbor’s garden. Soon Jack’s up to his ears in trouble! Hannah’s Tall Order: An Alphabet Sandwich is about a little girl with a big appetite. When Hannah stops by her favorite sandwich shop, Mr.McDougal will have to scramble (chop, grate, and peel) to keep up with her quest for the perfect sandwich! 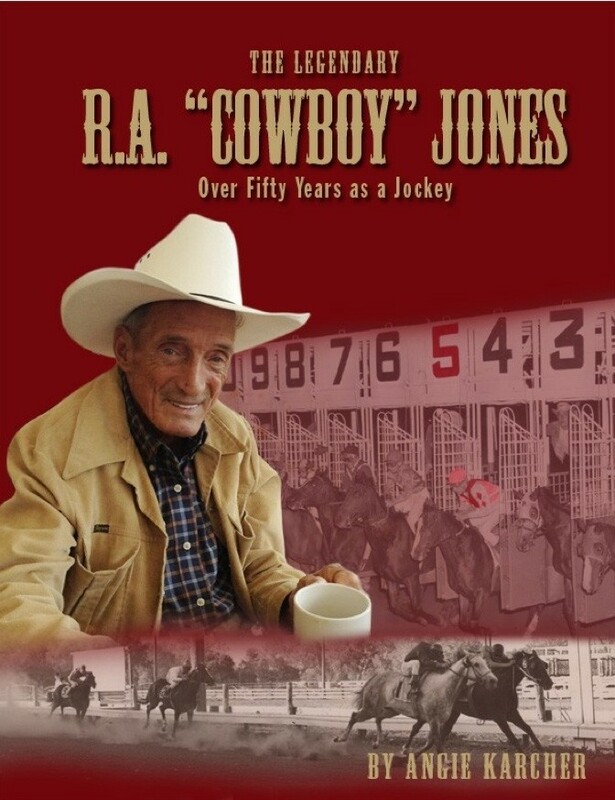 In a previous interview (link: https://foxcitiesbookfestival.org/picture-books-with-linda-vander-heyden) you shared that A Horse Named Jack is based on your own horse named Jack. He sounds like a clever escape artist. Who inspired Hannah’s Tall Order? Linda: I wanted to write an alphabet story that would be silly and make kids giggle. Hannah is a character who just popped into my head one day. She’s precocious. A little girl with a big sense of adventure. With Hannah, nothing is impossible! How do you create an emotional connection between your main characters and readers? Linda: That’s a great question! It can be challenging to create a character that touches a child’s heart and captures his or her imagination. In A Horse Named Jack, I think kids connect with Jack’s child-like innocence. He is curious and easily bored. He gets into trouble, though it is never his intention. In Mr. McGinty’s Monarchs, Mr. McGinty, an older gentleman, has a child-like wonder of nature and wants to help save the butterflies. In Hannah’s Tall Order, I think kids can relate to Hannah’s sense of adventure. They wonder what’s going to happen as her sandwich grows taller and taller. What aspect of writing rhyming picture books do you find the most challenging? Linda: Writing in rhyme is fun for me. I love the rhythm and musicality of the words. My sisters and I grew up hearing nursery rhymes and listening to classical music. I think that helped us develop an ear for rhythm. (Thanks, Mom!) I think one of the most challenging things about writing stories in rhyme is keeping a natural speaking voice and not “forcing” a rhyme. Also, writing in rhyme can feel a bit restrictive at times while trying to move a story forward. In addition to the challenges of writing in rhyme, Hannah’s Tall Order is an A to Z picture book. How did you make all the ingredients blend together? Linda: This question makes me smile, because even though Hannah’s character just seemed to pop into my imagination, the story took a long time to write. I researched foods and tried out different ideas. Finding foods that began with the correct letter (and number of syllables) was challenging. (It’s not easy finding a plausible food that begins with “x!”) And the rhyme had to sound natural. I also tried to break things up a bit as Hannah goes down her list of ingredients. That’s where poor Mr. McDougal comes in. Hannah is oblivious to his over-the-top efforts to fill her order! Describe your path to publication with your editor at Sleeping Bear Press. Linda: My path to publication was a long one! I studied the craft of writing picture books…attended workshops and conferences. I joined a critique group, took on-line courses, attended webinars, and sent manuscripts off for critiques by published authors. I took creative writing classes at our university, which included writing poetry. I learned about the importance of a natural speaking voice when using rhyme and about searching for that perfect word. And I’m very grateful to have been chosen for an SCBWI mentorship with an amazing picture book author! Along the way, there were many times I felt discouraged. When I first started submitting my stories, publishers often requested a self-addressed, stamped envelope be included for their response. I always knew what to expect when I found that same envelope in my mailbox months later! But rejections are a part of the process. I began to look at them as opportunities for growth. I also came to understand how important it is that we not let the desire to be published overshadow our joy of writing! I am thankful for my family and friends who encouraged me to keep trying. And I love that my stories found a home at Sleeping Bear Press! Did you include art notes in your manuscripts? Did any of the illustrations surprise you? Linda: I try not to include many art notes in my manuscripts. I use them only if I think the text needs clarifying. I’m very grateful for a wonderful working relationship with my editor. If I have any concerns or questions about an illustration, she is open to hearing them. But those times have been few, and I trust her judgement. I truly love the illustrations in each and every book! Member Michelle Donny Kennedy asked: Once you’ve edited and polished your story, how do you further cut the word count to fit submission guidelines? Linda: Hi Michelle, great question! I try to focus on action that moves the story forward and eliminate descriptions that can be shown by an illustration. (A brief illustration note can be used, but only if absolutely needed to clarify what’s happening in a scene.) I ask myself whether a sentence moves the story forward, or can it be eliminated? Are there any unnecessary characters that can be taken out of the story? How about unnecessary words, like “that” and “quite?” Sometimes two sentences can be combined into one tighter one. Or a contraction can be used instead of two words (if it still sounds natural). Having another picture book author critique our stories to see if he/she can find unnecessary words or ways to trim word count can also be very helpful. What advice would you give to those authors writing in rhyme? Linda: I would encourage them to read many (many) picture books written in rhyme. And read beautiful poetry. Feel the rhythm and musicality of the words. Does the rhythm flow well? Does the author’s speaking voice sound natural? Does the rhyme work, or can you tell the author was perhaps struggling to find a word that would rhyme? I would also encourage authors to read their stories out loud. And listen while others read them. When we read our own stories, we tend to make the rhythm work, but when others read them, we’ll be able to hear if there are lines that may need some revision. Where can people find you online? Bio: Linda Vander Heyden is the author of three picture books. She is drawn to stories with heart and humor. Her debut book, MR. MCGINTY’S MONARCHS was short-listed for the Next Generation’s Green Earth Book Award and is a Sigurd F. Olsen Nature Writing Award Honor Book. She is delighted to be sharing her two latest stories with children…A HORSE NAMED JACK and HANNAH’S TALL ORDER: AN ALPHABET SANDWICH (Sleeping Bear Press, 2018). She lives in Wisconsin with her husband, three cats, her border collie, and a horse named Jack! Wheee! It’s Sue Fliess (Pronounced “Fleece”)! Sue Fliess, whose name is pronounced “fleece” (which is the perfect tie-in to her book, Mary Had a Little Lab) is a prolific picture book author as well as one of the authors with a book in our Top Ten Best in Rhyme Picture Books of 2018. I LOVE Mary Had a Little Lab for so many reasons! But we’ll start with the rhyme since the book plays off the “Mary Had a Little Lamb” nursery rhyme. So which came first? The idea to write about a girl scientist with a problem, or the nursery rhyme inspiration for the book? Well….sort of neither! I actually dreamt the title of this. Usually my dream ideas amount to nothing, but this one had legs. In my dream, someone asked me what I was working on and I rattled off this title. Of course, no such thing was happening, but I thought about it all morning after I woke up. As is the case with many of my stories, I decided to at least try to write an opening. I loved my opening (which stayed from first draft to final book), and the story felt like it wrote itself from there. Besides the delightful play on the nursery rhyme, I love the STEM focus of the book. Is there a different approach you use when writing STEM books? Yes, but it’s more about working STEM aspects into the storyline. Since I mostly write fiction, I can get away with STEM being creatively weaved in, as opposed to worrying about exact science, for example. With this particular story, the title gave me a head start. But when I could tell I wanted Mary to be a little on the ‘mad’ scientist side vs. just a straight-up scientist, I threw in some Rube Goldberg-esque inventing. So that gave it the E in STEM, along with the science part. But in a silly and humorous way. And finally, I love your humor, which seems to be a trademark in your picture book style. I’m a big fan of all humorous picture books, but I wonder if humor is something that can be taught. If so, how can writers develop their funny bone? Wow, I’m grateful that you said that because I feel like I’m figuring it out as I go each time, asking, is this funny? Corny? Or only funny to me? Either way, I would tell people to read funny picture books to get a feel for how writers work the humor into the storyline. Sometimes the answer is to leave room for the illustrator to inject the humor. I will often have an art note like: I picture this as a funny scene. Or, this is sarcasm. In case my text does not make it obvious. Funny is hard to pull off. Bu this is why you have other writers read your work – to tell you what’s working or not working. Hi Natalee! Almost all of my books are in rhyme, so as opposed to avoiding certain editors or publishers, we usually target those that we know have liked my rhyming work in the past, whether they have published me or not. Very few editors we submit to now do not like rhyme, because that would be a waste of everyone’s time. As with any submission, you or your agent should do the homework to make sure the editors would be receptive to whatever style you’ve chosen to write your story in. You have a book trailer for Mary Had a Little Lab (and most of your books!). I’m sure your background in marketing and copywriting is hugely helpful so do you produce your own book trailers? Do you think PB authors need book trailers? I don’t think anyone needs a book trailer to be successful, but after publishing many books in this super crowded market, I’m looking for any tools I can use to help me avoid the same types of promotion of my books. A trailer is a little different than just showing the book cover over and over. So a book trailer is an easy (fairly easy—I taught myself) and fun way to have a teaser for a book—plus, people love watching videos. I do recommend keeping them at about 1 minute in length. Mary Had a Little Lab by Sue Fliess, Official Book Trailer. Illustrated by Petros Bouloubasis, published by Albert Whitman & Co. Mary is an enterprising young inventor. Loved that book! Best of everything in 2019 for you and yours AND your writing! How about the best advice you ever got in your writing career? And what do you always tell any writer who wants to be a rhyming picture book author like you? I’ve received a lot of good advice over the years. One piece of advice I got was: write like the writer next to you is writing the same story at the same time. Which goes hand in hand with this piece of advice: You’re only as good as your last book. Which sounds harsh. But essentially it means don’t publish/write a book and rest on your laurels. If you are going to continue publishing, you have to stay relevant, which means as soon as you finish one story, start working on the next. Because you never know what’s going to sell, when. But if you’re not writing, you won’t have anything to submit. For writers who want to be rhyming picture book authors, I always say start with the story. Then decide if the best way to tell it is in rhyme. If the answer is no, don’t force it into rhyme. Rhyme is just a vehicle for delivering your story. Next part of that is, read it out loud to yourself. Then have someone read it out loud to you. I still find that I think my story is polished, and then someone will read it out loud and stumble over parts of the rhyme. Then I fix and do it all again. Thanks, Sue! And best of luck with Mary Had a Little Lab and all the books you have coming out in 2019! You can check out her terrific website for all her titles, published and upcoming, but you can’t leave until you go to her Videos tab and watch a parody video (or seven). SO much fun! I love Sue Fliess (pronounced “fleece”)—and you will, too! Sue Fliess (“fleece”) is the bestselling author of Robots, Robots Everywhere!, How to Trap a Leprechaun, and more than 25 other children’s books including Mrs. Claus Takes the Reins, Ninja Camp, A Fairy Friend, Tons of Trucks, and many Little Golden Books. Her books have sold over 850,000 copies worldwide. Her background is in copywriting and PR/marketing, and her essays have appeared in O Magazine, HuffPo, Writer’s Digest, and more. Fliess has also written for Walt Disney. Her books have received honors from the SCBWI, have been used in school curricula, museum educational programs, and have even been translated into French, Korean and Chinese. The Bug Book was chosen for Dolly Parton’s Imagination Library. Her books have won awards and accolades. She’s a member of SCBWI and The Children’s Book Guild of DC. She does book signings, school visits, and speaking engagements. Sue lives with her family and their dog in Northern Virginia. Visit her at http://www.suefliess.com. Q I have to ask. Do you have cats? Did they find you or did you find them? KB I don’t have cats now, but I’ve had many cats through my life. I like to think we found each other! Q Pretty Kitty reminds me of an updated and urban version of Millions of Cats by Wanda Gag. Was that book an inspiration for yours or did something else spark this story? KB No, her book did not inspire this story. I wrote PRETTY KITTY to inspire pet adoption, and as a tribute to my beloved cat, Jake. Jake was the embodiment of pure love, wrapped in thick, soft, fluffy, creamy white fur, with a stubby little pom-pom tail. The excuses given by the protagonist to resist adopting the kitties were the same ones I pondered when my then seven year old daughter held up this tiny ball of fur she’d found in the big, red barn and asked, “Mommy, can I keep him?” I was a recently divorced mother of two young girls, renting a small old farmhouse in the country. I was juggling numerous part-time teaching jobs as I struggled to develop my writing career and provide a stable home life for my kids. I was stretched to the max, emotionally and financially. I didn’t need another mouth to feed! But as I looked into my daughter’s sweet, pleading eyes, my heart melted, and I heard my mouth say, “Okay.” I have never regretted that decision. Jake was a cherished member of our family for 18 1/2 years. Q Why did you choose rhyming verse to tell your story? KB All of my published books (17 to date) are written in rhyme. It’s my passion! I feel that very young children respond well to rhyme, if it is done right. Q Rhyme Revolution members also submitted questions for you. Joy Moore asks: How do you choose the stanza length? and How do you know when the story is ready to submit? KB I don’t choose the stanza length. It just happens, intuitively. My writing process is very right brain, so I never really know where a story will go until it’s gone there. I feel my way, rather blindly, without a map, if that makes sense. I don’t use “formulas” or magic spells or rule books! I just dive into word play and stir up whatever is floating around in the elusive, intangible, mystical realm of the Muse! There is a great quote that says “A good story is not written. It is re-written.” I guess, for me, a story is ready when I know in my heart that I’ve re-written it enough for it to sparkle, and it gives me a sense of joyful enthusiasm. I trust my gut! Q Following up on that question. What is the story of Pretty Kitty’s path to publication? Was it an easy one? KB I don’t remember how many times it was rejected, but it was. I intended for it to be a companion book to DOGGONE DOGS!, also a counting book, which was published by Dial. But they rejected it, as did others. Luckily, Laura Godwin at Holt, with whom I’ve worked before, is an animal rescue/rights advocate and she loved it because of PRETTY KITTY’s pet adoption theme. Q As a final question, do you have any words of wisdom for other picture book writers, especially those that write in rhyme? KB Yes! NEVER GIVE UP! Trust that if you’re willing to devote the necessary time and effort to develop your craft, study the market, and keep submitting, you will find your niche. I was told in the beginning not to write in rhyme – that editors HATE getting manuscripts in rhyme! Thankfully, I didn’t listen! I’ve learned that what they hate is getting manuscripts in BAD rhyme! Many people underestimate the demands of this art form and submit amateur material. My formula for success is: PASSION + PERSEVERANCE + PATIENCE = PUBLICATION! Follow your passion, not the market. Develop your own unique voice. And make those manuscripts sparkle! You will find your place on the literary playground! It’s a demanding, exhilarating, rewarding ride! I wish you all great joy and success on your journey. Bitty Bot is a busy little robot! In your first story Bitty Bot builds a rocket to go on a space adventure. Now, in Bitty Bot’s Big Beach Getaway, Bitty Bot builds a submarine to explore the ocean. Was Getaway in the works before Bitty Bot was published? Yes and no. I wrote the first draft of Bitty Bot back in 2011 and tweaked it for years until I got my agent in 2014. We sold Bitty Bot in a two-book deal to Paula Wiseman Books at Simon & Schuster soon thereafter. But I hadn’t written or even considered a sequel at that point. I wasn’t sure if I could replicate the rhyming style I’d used for Bitty Bot into another story! While the first book was in the process of being illustrated, I brainstormed and landed on the concept of Bitty going to the beach and having an ocean adventure. It was a lot of fun to explore new territory with Bitty and use beach and underwater-related rhyming words. Do you have more adventures planned for Bitty Bot? Well, I’ve written a third adventure that puts Bitty in a forest setting. I’d love to have a trilogy, but it all hinges on sales numbers of the first two books. That’s just the nature of the business, I guess. We’ll see! Are all your picture books written in rhyme? Did you have trouble finding agents or publishers who accepted rhyming manuscripts? I’ve written many manuscripts in prose over the years, but so far, I haven’t sold any. Nine out of my ten sold manuscripts are rhymers. The exception is BOING! A Very Noisy ABC, which uses onomatopoeia in alphabetical order to tell a story. I never ran into an agent or editor that said they wouldn’t accept rhymers. The key is to do your research and target your submissions. Luckily, my agent recognized that my body of work had potential and that my rhyming was solid. She’s able to submit my manuscripts to editors she knows will connect with my style and subjects. One of our Rhyme Revolution members, Suzie Olsen, would like to know: What writing challenges have you faced and how did you overcome them? Good question! When I first started out writing rhyming picture books, my manuscripts were very long and dense. I was unwilling to cut a single word, and I included too much detail. I was using long sentences in a fairly inconsistent meter. It was a mess! Once I shifted my style to more spare, airy text in tighter, shorter phrases, things started to click—and sell. On average, my rhyming stories are between 50 and 300 words. I try to leave a lot of room for the illustrator to shine. Not everybody needs to write in those same parameters, but it’s important to recognize when something isn’t working and be willing to change and experiment until you find a voice that works. What words of wisdom or advice can you offer to writers of rhyme as we move into 2019? Writing picture books is hard work. Writing picture books in RHYME adds even more pitfalls to the process. You can absolutely sell rhyming picture books, but editors are watching for manuscripts that fire on all cylinders. Tight meter, unforced rhymes, lovable main characters, great stories with openings that hook and endings with a satisfying twist. It’s a lot to ask for! Be patient and give yourself time to write lots of rhymers and study the greats. If you truly love to rhyme, then go for it! three books nominated for the Best Rhyming Picture Book of 2018 Award! 2. Do you see yourself in any of your characters? enjoy sneaking the last drop of syrup before others can get it. 3. How long ago did you get the idea for Lost in the Library? (getting a tour throughout), eventually finding him in the… well, I don’t want to spoil it. had never entered the library before. Patience became a master storyteller, etc. The idea for the sequel, though (*wink*) – that one’s all me. come quicker or slower than the first two? comes pretty quickly – faster than the first one for sure. 5. When and where do you write? home. I also love to go to the public library to write. Sometimes I work in a study room. librarians, and little readers around. 6. What inspired you to write Albie Newton? what great people they truly are. particular rhyming POV that we should be aware of? have a conscious preference and I don’t think the market has one either. independent of each other. If it’s good rhyme, it won’t matter what the POV is. 8. Do you have any new rhyming picture books coming out in 2019? 9. What are you currently working on? to HOW TO CODE A SANDCASTLE). A second (IT’S NOT HANSEL AND GRETEL) And third (IT’S NOT LITTLE RED RIDING HOOD) It’s Not a Fairy Tale books. A fourth pancake book. A second NYPL Lions book. And a secret project. And hopefully something totally brand new very soon. version of yourself, what would you want to share? the way. And then write a third. And a fourth. And keep going. likely going to be your fifth or tenth that will be your first one published. Now, go off and break a pencil! biggest fear in life is being eaten by a __________. The 2018 Best in Rhyme Award nominations are underway! 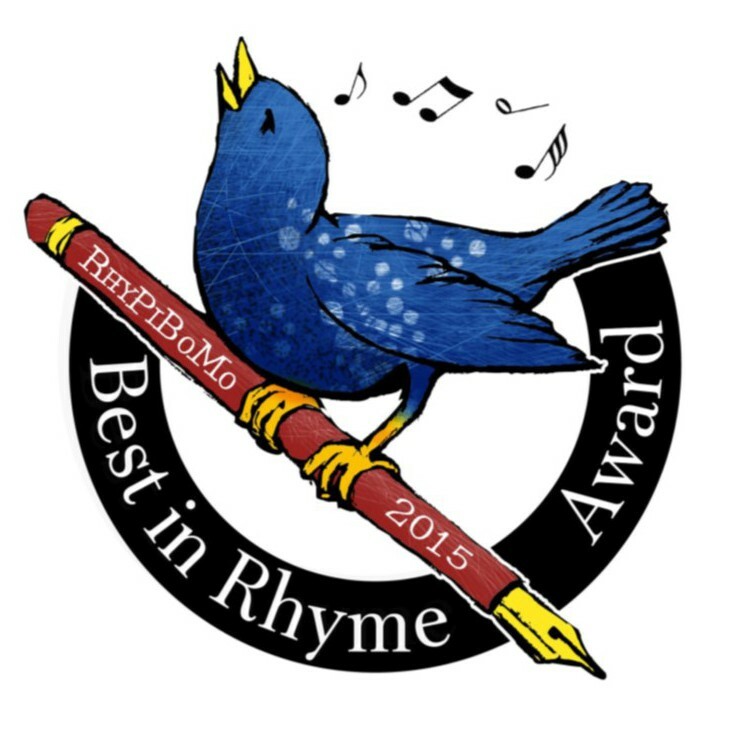 I am so excited that my friend and fellow-rhymer Debbie Vidovich has taken the reins for this year’s Best in Rhyme Award. She has stepped in to organize the nominations and voting and our 2018 Committee is in place! Nominations are only open through October 1st so don’t delay. Go to the Rhyme Revolution Facebook group and nominate your favorite rhyming picture book for 2018! The 2019 Best in Rhyme Award will be announced in New York City at the KidLit TV Studio on February 10th. 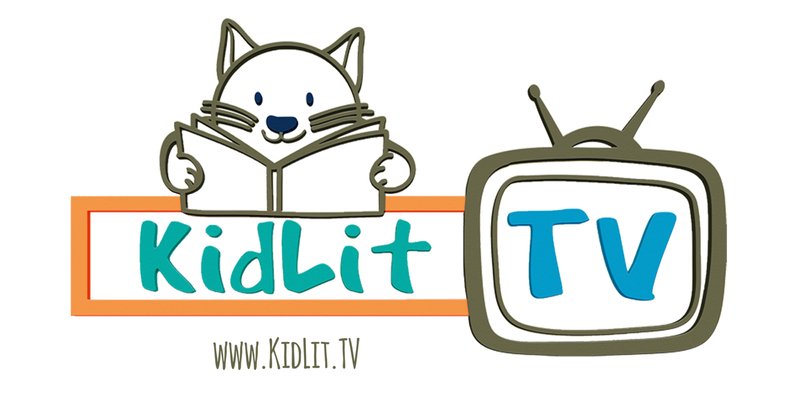 Many thanks to Julie Gribble and KidLit TV!! The 2017 Best in Rhyme Award Announcement is February 4th at 6:00pm ET. 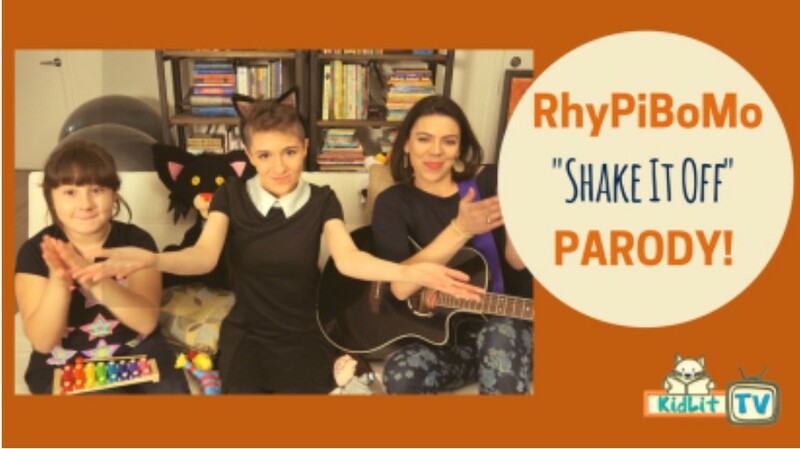 Don’t miss this exciting live streaming announcement from the KidLitTV Studio in NYC! I want to thank the Best in Rhyme Committee who is a group of truly amazing writers and friends! This group, led by Manju Gulati Howard and Debbie Vidovich read, scored and blogged about the Top 10 books on the list. 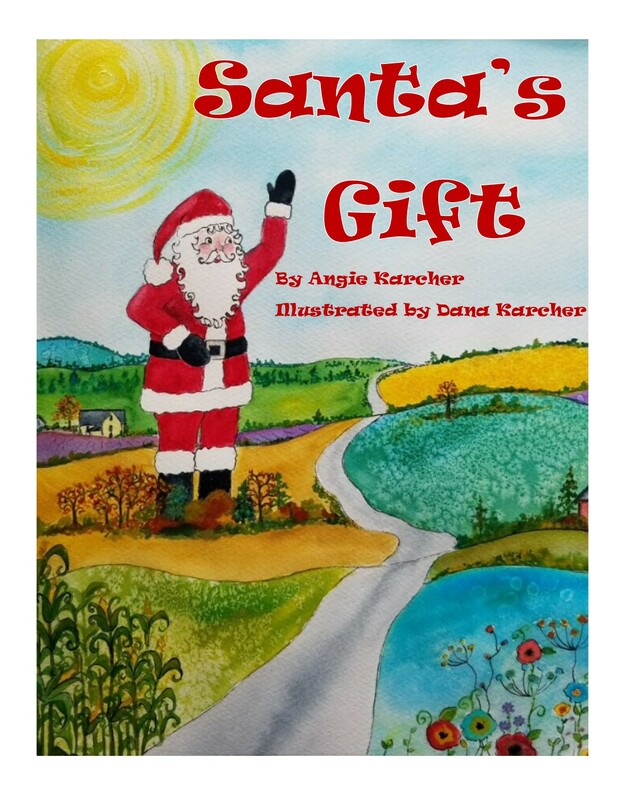 I was thrilled to see SANTA’S GIFT on the list this year, so of course, I was not involved at all, except for sharing the blog posts and handling social media. This is quite a time consuming job and these ladies deserve a roaring round of applause! Here is the list of Top 10 Best in Rhyme Books. Please find these and read them, as they are fantastic! I will be naming a winner and 3 honor books this year. Watch for the link to the live stream, coming soon. Little Excavator is the rollicking tale of a young excavator trying hard to find his place in the grownup world. He fails and fails again! With pluck and determination, Little Ex finds the one special thing that only he can do. Kids of all ages will relate to this universal tale of finding the specialness in each of us. Anna’s soft, friendly but exuberant use of color exquisitely compliments the text and is a hallmark of her illustration style. It’s impossible not to fall in love at first site. Go Little Excavator, go! I recently had the opportunity to interview the loving and devoted Reed Duncan, life partner of the late Anna Dewdney. In the year and a half since Anna’s passing Reed and the creative team at Penguin brought Little Excavator to print with other books soon to come. Little Excavator was very dear to Anna’s heart. She had sidelined it for a long time due to other obligations. According to Reed, Anna worked throughout her illness to finish it, altering her painting technique to accommodate her limitations. It was a true labor of love. She asked him to read it to her the day she died. 1) You mentioned Little Excavator was near to Anna’s heart. What was her inspiration for the story? 2) I loved that Little Ex cheerfully perseveres despite repeated setbacks. He’s a wonderful role model. Today’s children live in an increasingly stressful and polarized world; how do you think Little Ex will impact them? I hope that kids — and anyone, really — can take the core message of the book to heart and execute this principle in their daily practice, namely that we all have unique characteristics and sklll-sets that enable us to do what others can’t. It may take some figuring out before we come to know our special talents and how to employ them, but everybody has them. 3) The patience and unconditional love the adult machines exhibit toward Little Ex is also important to this age group. How did Anna feel about that? Her adult characters always do exactly the right thing. As a mother and a teacher, Anna knew implicitly that patience and support are key to a child’s development. Young people are supposed to experiment and fail — that’s their job; it’s our job as adults to guide them and support them in that process of effort and self-discovery. 4) Of course the crowning achievement is when Little Ex finds his own perfectly suited place in the world. How do you think kids will relate to that? I hope the kids who read the book will feel relieved that somewhere in the world is a place perfectly suited to who they are, even if it doesn’t always or at first feel that way. 5) All of Anna’s characters are lovable and their struggles are relatable to children’s everyday experience. She really understood them. Can you tell us a bit about her experience bringing her stories to publication? Anna spent many years working with children — her own and also her students when she was a teacher. Those day-to-day experiences that we all can relate to are a big part of what make her books so immediate to her readers. 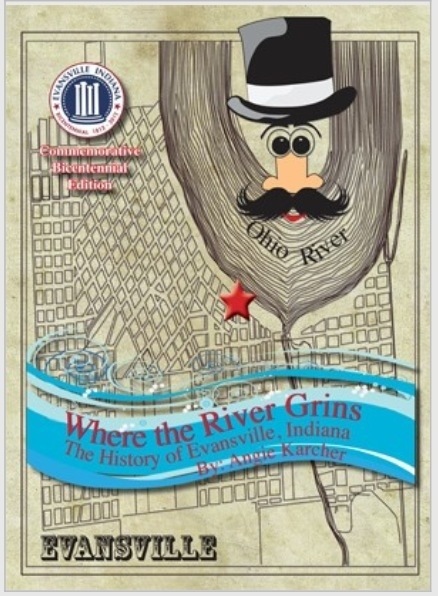 She worked for many years as a freelance illustrator until her own stories got published. She also worked as a waitress and as a rural mail carrier and as a housesitter in addition to teaching; for her, making art was the only thing that mattered and everything else was just in support of those artistic goals. She worked with limited success for about 20 years before the first Llama Llama book came out. Persistence, persistence, persistence. 6) The Llama llama books are iconic and beloved. Llama, Llama Red Pajama was my first mentor book. What advice would Anna have for fellow rhymers/illustrators trying to get their first book published? 7) Anna is also a gifted illustrator. Her vibrant colors and sweet faced animals are appealing to kids and adults alike. Can you tell us a little about her process and when she decided to be her own illustrator? Anna began drawing and painting and inventing characters and stories when she was a very little girl. She always had a high sense of theatre and drama and she imagined her stories very visually, so for her the story and the image were inseparable. A story would unfold for her not just in a narrative arc, but also graphically and with strong color-value relation. 8) Can you include two of your favorite illustrations from Little Ex and tell us what you love about them? I love the scene where Little E falls into the hole he has just dug — he’s so overzealous that gets in over his head, literally! My favorite illustration in the book is just before Little E goes across the bridge with the apple tree, the scene where he’s looking back at the reader and is framed by all the other machines; the expression on his face there is Anna’s expression, a very happy can-do expression, like “I got this!”. I see Anna everytime I see that picture of Little E.
9) I understand Anna left more books in various levels of completion. Is that true and when can we expect them? A world without more Llama llama would be a dreary world indeed. Yes! Lots of stories, some Llama stories and several others too. Anna created many other characters that the public hasn’t met yet. My hope is to bring as many of these to the public as I can over time. The next full Llama picture book, Llama Llama Loves to Read, hits the shelves on May 1st, 2018. And of course there are several other Llama books coming out all the time: board books, sticker books, spinoff books from the Netflix animated series, and a really lovely memory book (Llama Llama and Me: My Book of Memories) that comes out in January of 2018. 10) Speaking of little Llama, is it true there is a series coming out on Netflix? “Llama Llama”, a Netflix Original Series, debuts on Jan. 26, 2018. This first season features 30 animated episodes. Anyone who loves Anna’s books will really enjoy the series; it’s very true to her work. All the familiar characters have roles and there are some new characters who appear too. Jennifer Garner voices the Mama Llama character and she is fabulous in that role — loving and warm and funny and perfect. A huge amount of care and attention went into the development of every detail of this show, from the storylines to the original music to the animation and color palette and to the voices of the characters. We had an all-star production team, with key players from award-winning shows like The Lion King, The Magic School Bus, Mulan, The Little Mermaid, Stuart Little, Inspector Gadget, etc. I couldn’t feel luckier to have had such an assemblage of brilliant people work on “Llama Llama”, and I couldn’t be more proud of the result. Anna and Reed shared a very close connection, as life partners and work partners. Reed always got first reed on Anna’s stories. They bounced ideas off each other all day in regards to storyline, color etc. How lucky we are to have such a devoted man to bring Anna’s unfinished works to the world. Best of luck to Reed and the team at Penguin books. Thank you Reed for this loving and insightful glimpse into Anna and her process. 2017 Best in Rhyme Top 10 List! from the KidLitTV Studio in New York City.